+ About Flash Reality. What is it good for? effects used in Second Reality. + About Scampers. Who are these guys? + 100% Realtime. No Animation Included. What does this mean? 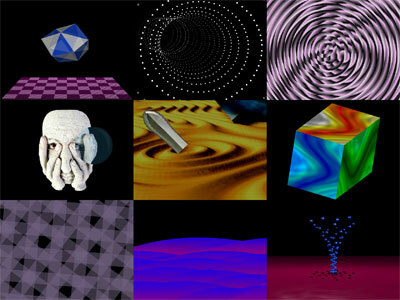 parts, except the sinus animation on the 3d-cube. + System Requirements. Can I run it on my 486? optimized for the competition system with 3.0Ghz! + Greetings. Are they really needed? + www.scampers.org. Why should I go there? For further information and more releases.